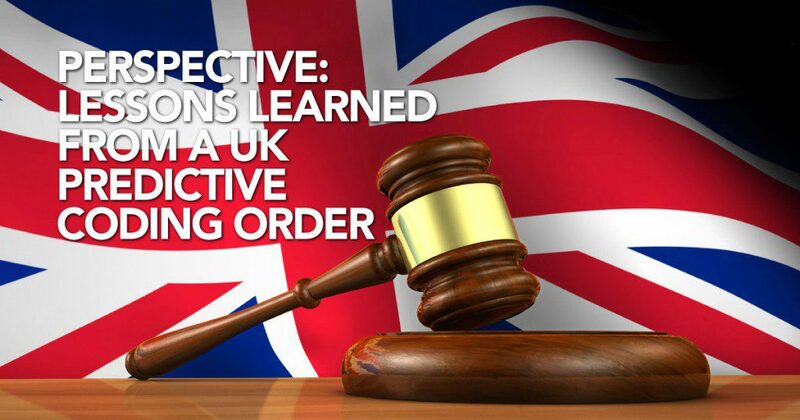 This week, the High Court of England and Wales issued an order approving the use of predictive coding. As previously reported by Big Law Business, the order from Pyrrho Investments v. MWB Business Exchange was the first of its kind in the UK. The order has generated considerable excitement, including the usual marketing hyperbole from litigation support vendors and legal technology enthusiasts that predictive coding is now about to sweep the globe. 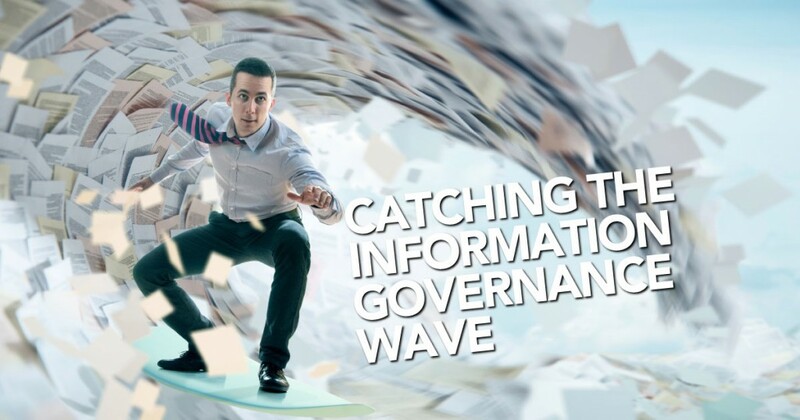 As I caught the Titans of Mavericks competition’s highlights from my current home along the Wasatch Front, it struck me how the challenges facing the surfers at Mavericks were analogous to those confronting organizations that are trying to catch the Information Governance (IG) wave. Like Mavericks, there are any number of treacherous difficulties – including growing data stockpiles, technological traps, and rogue employees – that can overwhelm organizations before they can ride the IG wave. 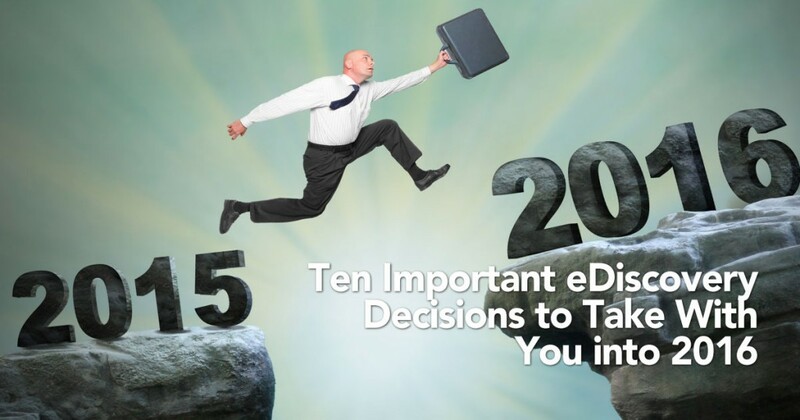 2015 was a big and busy year for eDiscovery decisions. From the expanding relevance of social media and cloud data and the December updates to the Federal Rules of Civil Procedure (FRCP) to the recent California eDiscovery Ethics Opinion and the death of Safe Harbor, there is a lot to keep an eye on. Below are 10 cases from 2015 that you need to know in order to stay abreast of the latest developments in the field. The recently enacted amendments to the Federal Rules of Civil Procedure have brought a certain amount of hype to the eDiscovery world. While the amendments have been greatly anticipated for the potential impact they could have in eDiscovery, some have questioned whether the changes will have any noticeable effect on the current discovery process. Despite these doubts, courts appear to be embracing the revised rules with vigor. Indeed, as discussed in a recent article published by Bloomberg BNA publication Big Law Business, several decisions interpreting the amended rules have already been issued in the nearly two months since they became effective. The consumerization of IT has brought tremendous opportunity to the business world. By empowering employees with the convenience of smart phones, tablet computers, and cloud computing, companies can transact business across the globe at any time and in any place. Despite the obvious benefits, consumerization has also introduced a number of problems into the corporate environment. As I discussed recently on a podcast with ACEDs, this is especially the case with employee use of personal cloud computing providers such as Dropbox, Box, and iCloud.